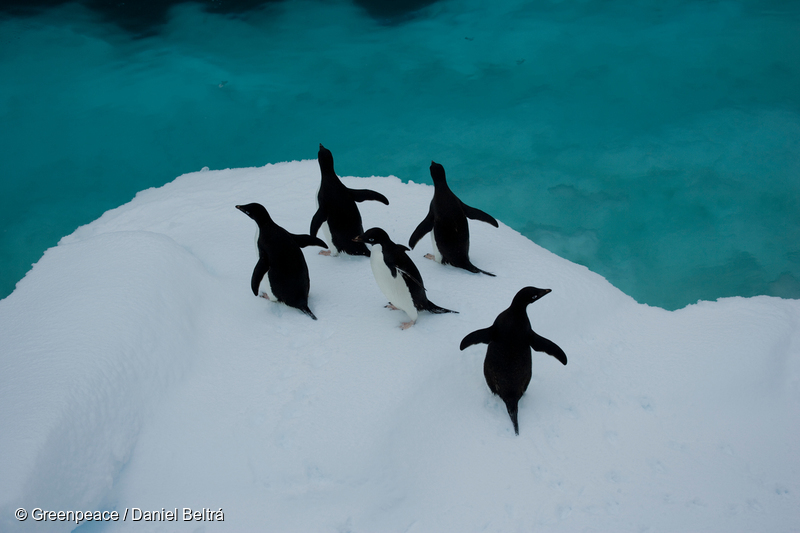 Adelie Penguins walk on ice near the ocean. If you tuned in to Blue Planet II on Sunday night, marvelling at the wonders beneath the waves (and, spoiler alert, the fish *flying* above them) then this should be an easy question. More or less ocean protection? Almost half of our planet is a vast ocean beyond national borders which belongs to us all. These blue expanses are bigger than every continent combined and are home to an amazing array of sea creatures. Sitting on one end of our big blue planet is a thriving ocean where whales, seals and penguins live and raise their young: the Antarctic Ocean. But a warming climate and an ever-expanding commercial fishing industry are threatening this undisturbed area and its iconic creatures. The recent news that just two penguin chicks survived out of a colony of nearly 40,000 birds is a sign that something’s very wrong in the Antarctic. 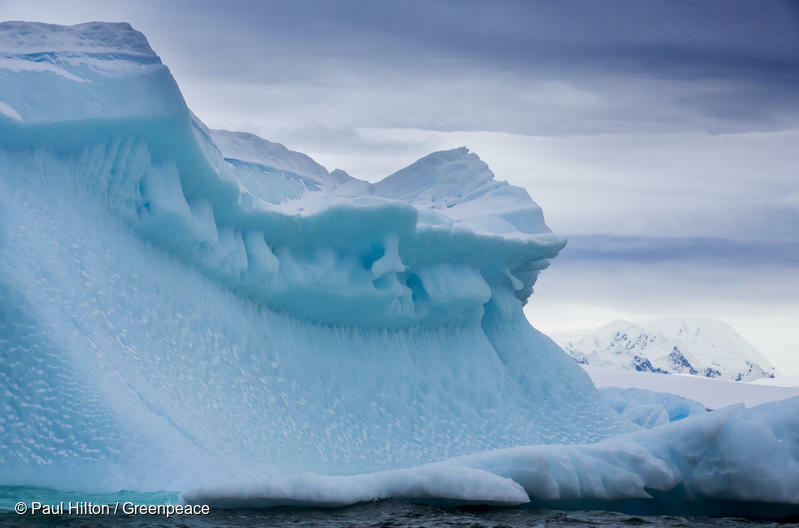 The good news is: we have a chance to create the world’s largest protected area – a massive Antarctic Ocean Sanctuary (add your name to the petition). This would create a safe haven for incredible wildlife like whales and penguins, putting the waters off-limits to the industrial fishing vessels sucking up the tiny shrimp-like krill, on which all Antarctic life relies. Not only that, ocean sanctuaries ensure healthy oceans which soak up carbon dioxide and help us to tackle climate change. To create this massive Antarctic Sanctuary, we need to act together to make sure our governments stand up for ocean protection. 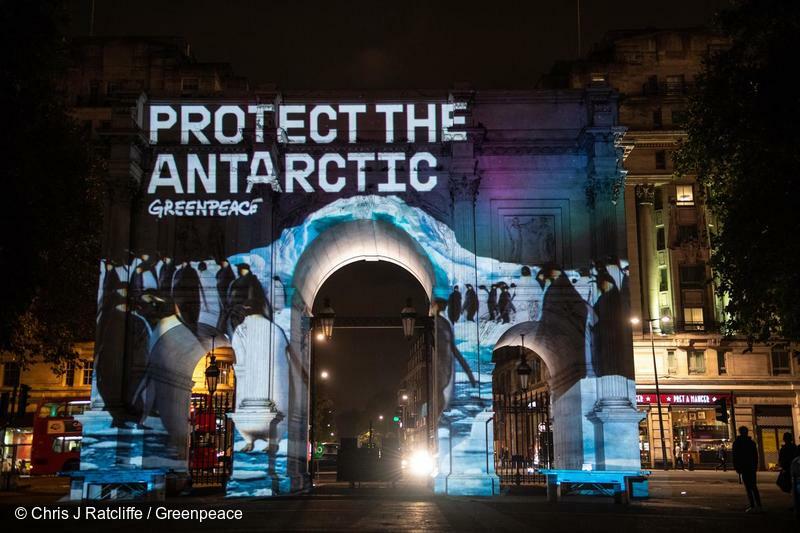 That’s why Greenpeace has just launched a new global campaign for an Antarctic Sanctuary five times the size of Germany, in the Weddell Sea. This sanctuary will cover 1.8 million square kilometres of ocean, protecting the home of Emperor penguins and the great whales. 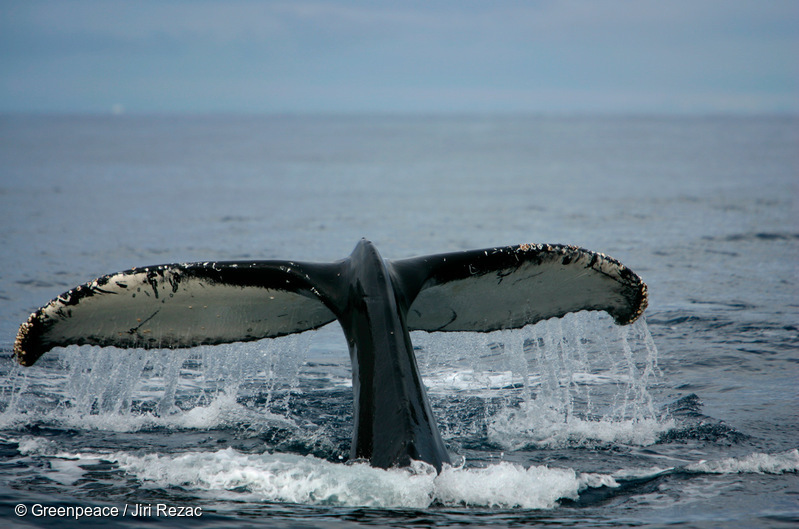 Humpback whales show their flukes while feeding near the Antarctic ice edge. The UK Government is part of an Antarctic Ocean Commission, which has the mandate to protect the seas surrounding Antarctica. These governments will make a decision in 12 months’ time on whether to create this enormous Antarctic Ocean Sanctuary. But frustratingly this body is riddled with infighting and inaction. Just last week, the commission failed to agree on creating a new sanctuary in the East Antarctic region. Why? Because countries were lobbied by the fishing industry to water down the agreement so much, it was hardly worth passing. Without public pressure in support of protection, these Antarctic nations will continue to fall short on protecting our shared ocean. We know campaigning works. 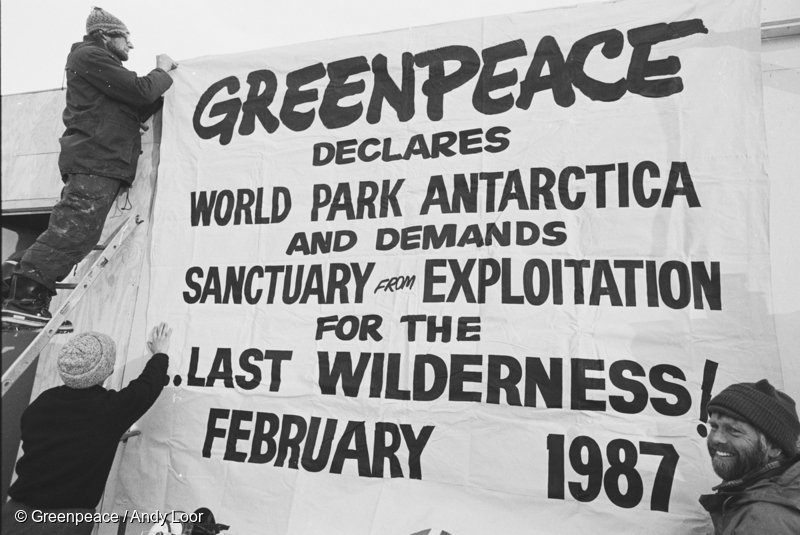 In the 1980s, Greenpeace supporters around the world helped create a World Park in Antarctica, putting the landmass off-limits to companies seeking to drill and mine for fossil fuels and minerals. 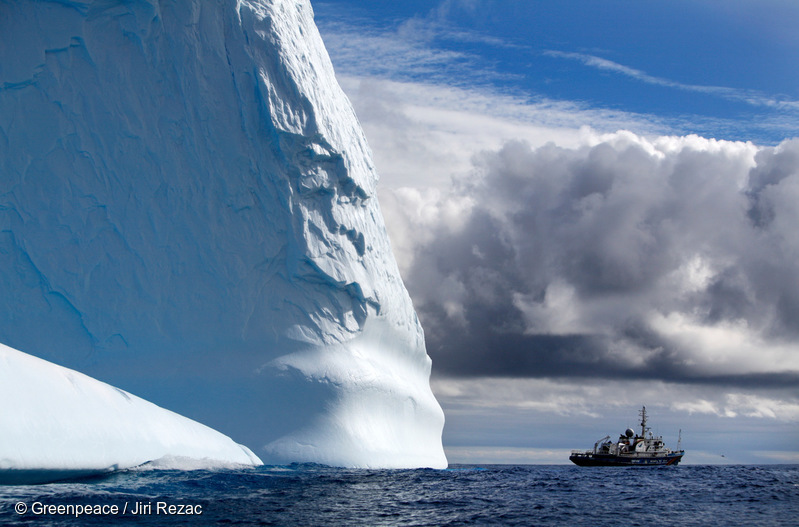 Just last year, we celebrated the creation of the Ross Sea Sanctuary in a triumph for Antarctic Ocean protection. But the Ross Sea was just the beginning. Leading scientists say we should put in place strong protections for at least one-third of our oceans to allow the oceans to recover and build resilience to multiple threats. Our oceans are a key ally in tackling climate change and provide food for billions of people. What happens in the ocean definitely doesn’t stay in the ocean. It’s not very often we get the chance to protect something before vested interests destroy it. 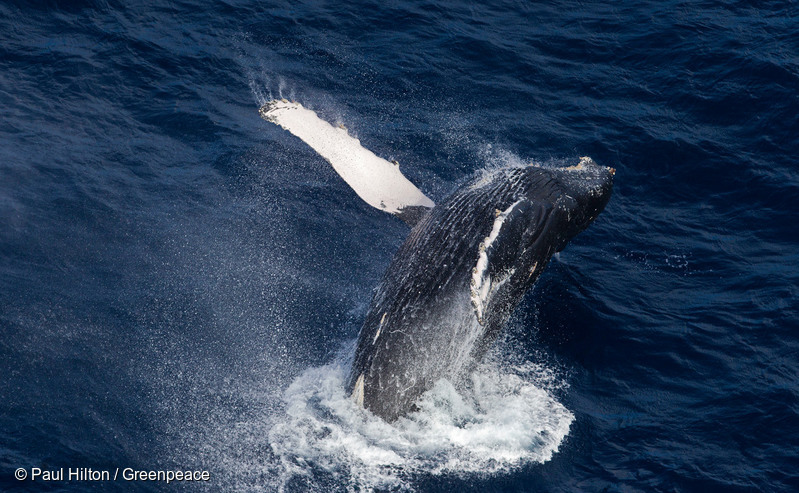 But over the next 12 months, we can create the largest protected area on Earth. As industrial fishing companies step up their lobbying to block this Antarctic Ocean Sanctuary, our voices for protection need to become even louder. So while you wait for your next weekly fix of Blue Planet II, give something back to help our oceans thrive. 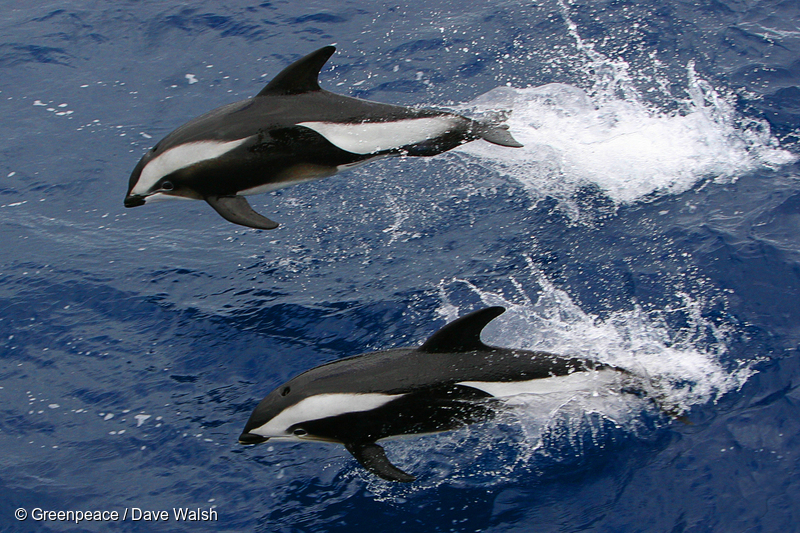 Add your voice today to call on the government to protect the Antarctic ocean – home to over 9,000 incredible creatures – and help us make history.